Wow... Elmo's... kind of... a task master. I'm out of breath. I didn't know I had to dance so much to make friends with a monster! My one year old daughter thoroughly enjoyed the demo, but maybe she was just laughing at me. Probably both. The graphics look good, the gameplay is simple, and it should fun for parents with small children. What more do you need to know? Oh... You wan to know all of that, huh? Well then stay tuned for our upcoming co-op review. Until then, enjoy this video. 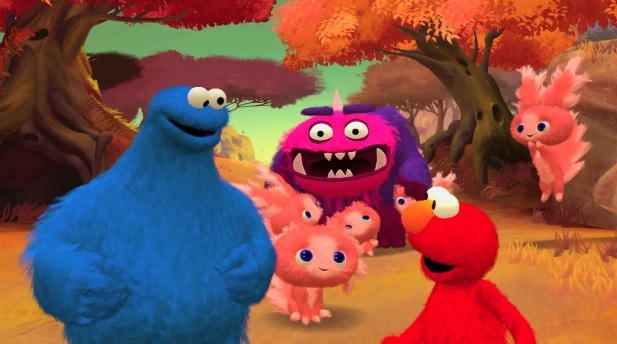 Sesame Street: Once Upon a Monster is available now for the Xbox 360 Kinect. It supports two player local co-op.